AKA companion planting with a purpose. Hold up there. Yes, you know what tomatoes are, but if you are newer to this growing your own food thing, then you might not realize that not all tomatoes taste the same, they also don’t all have the same texture or do as well in red sauce as others. For our sauce garden, we are going with Roma. 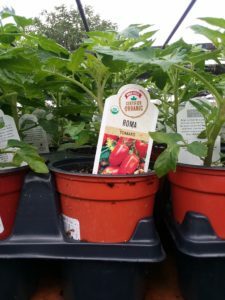 Roma tomatoes have variety in and of themselves, we like to grow our tomatoes in containers, as we have mixed sun and that lets us move them to follow the sun. So we use a Roma tomato meant for container planting. However, if you are growing in-ground or in a planting box, you can choose a plant that is going to grow a little bigger. Roma tomatoes are meaty and have fewer seeds than a tomato that you might use for a sandwich (like a beefsteak tomato). The other great thing about Roma is that you get bunches of tomatoes, which you will need, as you need about 3.5 pounds of tomatoes to make a jar of sauce. 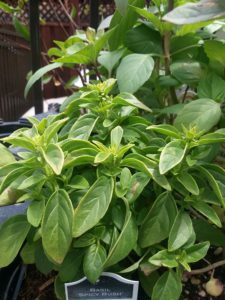 Basil- The best thing about growing your own basil, is that you are using the leaves and it is usable year round. You can dry it, but you don’t have to. We like to use a handful of fresh basil in our sauce. Garlic- You have to have garlic in a good tomato sauce. Did you know that the reason garlic is said to repel vampires is that vampires are supposed to smell bad, and don’t like that garlic smells just as bad? You will need to dry garlic as you pull it up. 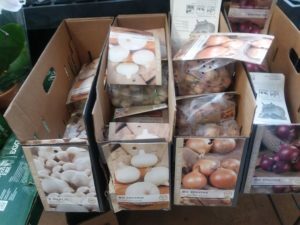 Remember that garlic is actually a bulb, so it’s more like growing onions or potatoes than tomatoes or basil. 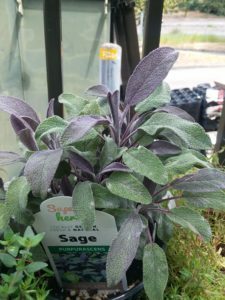 Sage- There are different types of sage, and while they are all technically edible some are going to be more known to you for food, and some are more commonly used for perfume or ritual purposes. We like a common sage in our spaghetti sauce garden. We also, however, have a large container full of purple sage in our home garden, it’s edible and beautiful. We allow the purple sage to flower and pinch off the blooms on the common sage since we use it more for cooking. Peppers- You may not think of peppers in spaghetti sauce, but it is one of our secret ingredients. We like to dry mild chile peppers and stir about a teaspoonful into our sauce. However, this can also mean bell peppers, and bell peppers are amazing when fresh from your garden, sliced and sauteed in olive oil. Onions- The best thing about onions that a lot of people don’t realize is that there is evidence that they can actually help you lose weight. Onions are actually a really cool plant historically as it is one of the few plants that might have been domesticated almost worldwide around the same time, we actually don’t know because onions have been domesticated and hybridized for so long that the “original” onions became extinct before written records. For our sauce, we like to use yellow onions, but you can also use white onions or for a slightly sweeter taste purple onions. Okay, we know you are going to say something like “Hey, we like to put (insert your secret ingredient here). But here is the secret to this particular sauce garden, all of these plants are companion plants. What is a companion plant? We are glad you asked, companion planting is as old as cultivation itself. If you grew up in California at some point in elementary school you probably planted a “three sisters” “garden”. This trio of corn, squash, beans are both the three “main” plants from North America and companion plants (for a fun read on how this works check out this blog at Treehugger.). What a companion plant means is that it can be grown with another plant with the same soil, light, and water conditions so that there is no need to separate them. Sometimes the companion gives an added protection to another of the plant. For example, you can grow leaf lettuce as a companion plant for tomatoes, the low growing lettuce provides a natural mulch that keeps the ground moist without having to water as much and rotting your tomatoes. The sun-loving taller tomatoes give the lettuce a little bit of shelter from direct hot sunlight. This then is companion planting. So back to our sauce garden, we already said we like to grow things in containers, and so we tend to divide up our garden, but you don’t have to. Because they are companions you can grow all of those items in one planter box, one square foot garden, or even one half wine barrel (actually that is a really cool looking way to grow your sauce and it takes up less than a 2’ footprint). So how do we do this? Remember when we did the blog on drip irrigation? We talked about doing a garden plan, that is where we start. We have an advantage if we know for sure what plants we want. Your tomatoes are going to need a trellis of some form. The common way to do this is with a tomato cage. Because of this, we tend to put the tomatoes in the middle of our garden. We like to go by height out from there. Peppers can also benefit from trellis or support so we put them next. This gives us the advantage of being able to make our tomato cage do double duty as a tomato and pepper trellis. A note about trellis and supports. You can use anything from string to zip ties to tie your plants. We tend to want to use the branches and trellis as much as possible when we do tie we use a product that is made for this purpose. 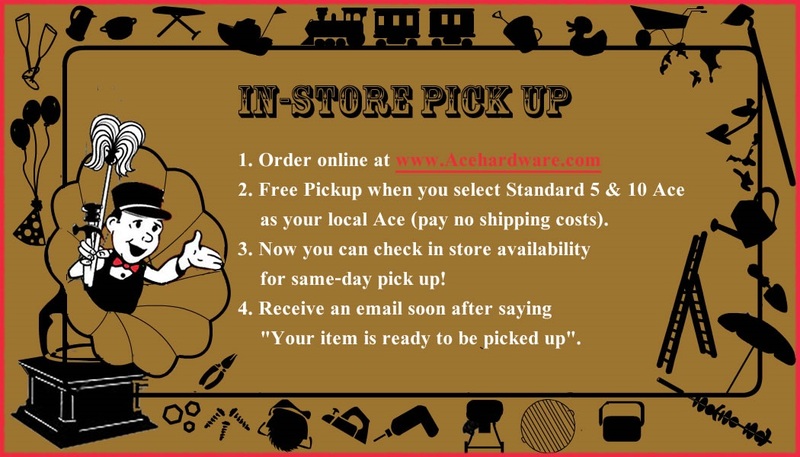 They are weather resistant and they won’t damage your plants like things with hard edges can. We like to put our basil and Sage at the edges near each other because as opposed to everything else in our garden they are perennial and so we will not need to replant them. We put the bulbs on the opposite side from our herbs mainly because that’s the open spot. So a few weeks go by and you are starting to get produce, now what? Well, now you make the sauce. 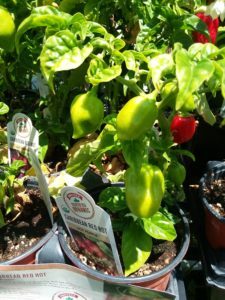 No worries, we also carry everything you need to make and can your own spaghetti sauce, we will cover that later on n the year, so be on the lookout for our blog “taking produce, from the garden to the pantry”.